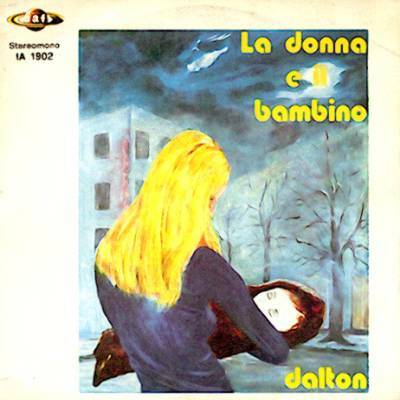 Two groups with the name Dalton existed in the Brescia-Bergamo area, and there's always been much confusion about them. The first group was formed in 1967, releasing in the same year their first single Monia (later re-released) and appearing at 1969 Cantagiro festival with Da cinque anni, and among their productions there was also the Italian version of the hit Venus by the dutch band Shocking Blue. The same line-up played on all the early singles except the last one, Venus, where Bergamini was replaced by a drummer from Milan named Adamo. Incidentally Venus was sung by guitarist Belli, while the lead singer of the band was bassist Saponaro. 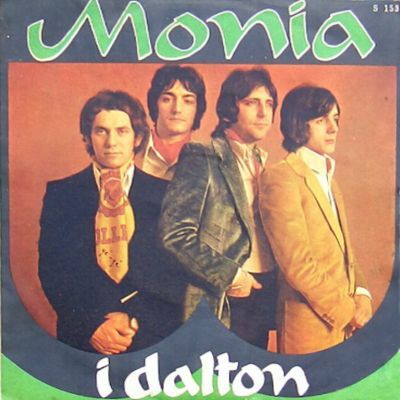 In 1970, after their last single, the line-up was expanded with a fifth element, multiinstrumentalist Mauro Pagani, who had already played with Dalton's drummer in the beat group Gli Araldi around 1966. 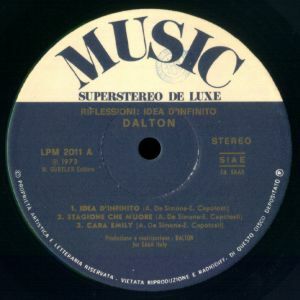 With this line-up Dalton played many concerts, but in September 1970 they broke up when Pagani was noticed by the members of I Quelli and invited to join them to form Premiata Forneria Marconi. Dalton's style in live concerts was a rock-blues with psychedelic influences and long instrumental parts. 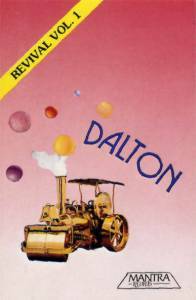 The name Dalton was later used by another group, with no connections with the previous one and a totally different line-up. Three of the musicians, Aronne Cereda, Giancarlo Brambilla (on bass and then keyboards) and Rino Limonta had previously played with the group I Puritani, that also included two future members of Pholas Dactylus, Valentino Galbusera and Giampiero Nava. 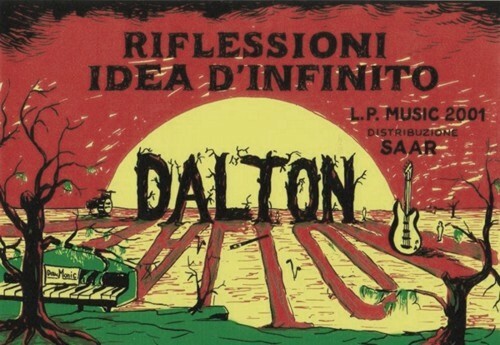 The new Dalton line-up released a very good debut album entitled Riflessioni: idea d'infinito. With a great use of flute and good guitar riffs, the album has some very good moments, like Idea d'infinito with some Jethro Tull influences, Riflessioni and the closing Dimensione lavoro, while Cara Emily is a slow acoustic ballad. It has to be noticed that the album has a very short running time of around 30 minutes. The band had a moderate success and even won the first prize in a swiss Pop Festival in Zurich. After a good single in 1974, La donna e il bambino, the band had a line-up change with Reduzzi and flutist Alex Chiesa leaving to be replaced by keyboardist Giancarlo Brambilla and singer Massimo Moretti, but the second album Argitari (a title formed with the initials of the musicians' names) was on a lower level than their debut. Mainly built on acoustic guitar, it seems rather a solo album by singer/guitarist Cereda than a group record. Newcomer singer Moretti is only credited on backing vocals, and the sound is generally much weaker than on their debut LP. Also included is an unusual rendition of Bob Dylan's Blowin' in the wind called La risposta, and one of the best tracks, Visione di una notte d'estate (with old member Alex Chiesa on flute) is in fact a reworking of the single La donna e il bambino with different mix and lyrics, whose original subject had been considered too irreverent causing the track to be discarded from the Sanremo Festival selections. The band closed its career with a late commercial single in 1979. Two band members, Temi Reduzzi and Aronne Cereda, were also involved in a pop opera released in 1975, Paciana story, a mix of traditional folk and pop. Drummer Walter Locatelli formed Mo.Do. Reduzzi remained in the business with a dance band and a music shop near Bergamo. One of the members of the early Dalton line-up, guitarist Rolando Belli, moved to Germany, where he played for some months and 6 concerts with Can to replace Michael Karoli during a trip to India. In 1977 he came to Italy to record with his family a song album credited to Family Belli (Start - IAF 89014) and a single (Solo se lo vuoi/Foxtrottato - IAF 1912). 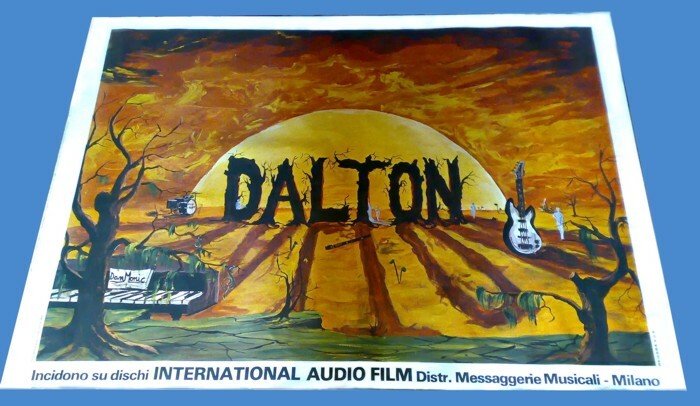 2005 has seen a new CD reissue of Dalton's second album, Argitari, strongly enriched by new flute overdubs by original member Alex Chiesa, and a much better sound. 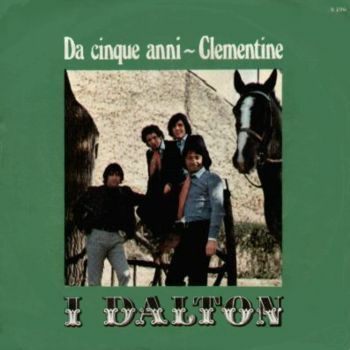 In 2018 Dalton were reformed with original members Cereda, Chiesa, Limonta and Brambilla along with singer/guitarist Nicoletta Gentile. 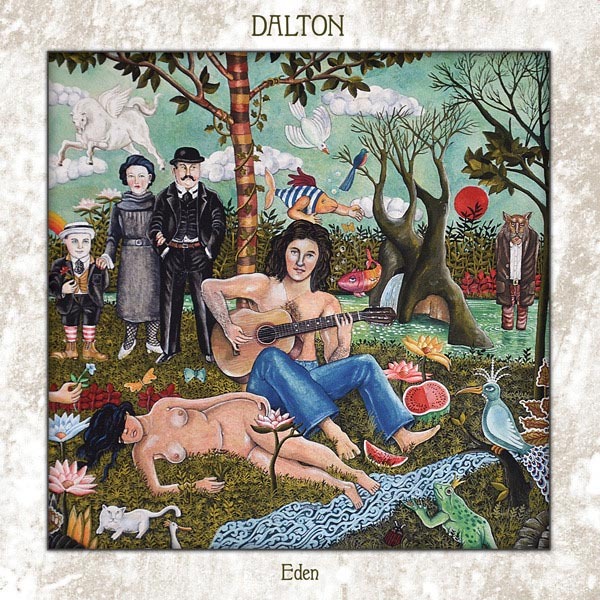 Cereda had a solo album in 2017 for AMS, Memories, and the same label produced Dalton's third LP, Eden, that contains some prog influences mixed with a folk and singer/songwriter style. A che serve una vela Jeans Master (GAP 1/2) 197? promotional single given free with jeans - released as "Jeans Master Orchestra"
Both albums are very rare, especially the first one, on the scarce Music label. Riflessioni: idea d'infinito had a gatefold cover, while Argitari was housed in a triple gatefold cover. Some copies of the first album came with a sticker containing the group’s logo (as in the centre of the LP cover), its size was 14.5 x 10 cm and it was probably meant for promotional reasons and only included in very few copies. The first vinyl reissue in their production was Riflessioni: idea d'infinito released in 2006 by BTF/Vinyl Magic, on orange vinyl. It is a faithful reproduction of the 1973 LP (though the reissue has a rough cardboard cover, as opposed to the smooth original), and also has a white/blue Music label identical to the old one. The record carries the Music LPM 2011 catalogue number but the run-off groove on the vinyl has the reissue number VM12LP; moreover the reissue can be easily identified by the vinyl colour, that's orange, while the original was a standard black. An early pressing of 200 copies of this reissue has been directly sold by the group members, and all the copies are hand numbered and signed, and contain a colour print with the cover illustration. The second LP Argitari was reissued on vinyl in 2014 with the same triple gatefold cover as the original. Both albums are available on CD, Argitari has been finally reissued in 2005 in the BTF/Vinyl Magic "Italian progressive rock" series with a mini-LP gatefold cover, obi and an illustrated booklet. The reissue also includes four bonus tracks, La donna e il bambino in its original single version along with 3 unreleased cuts. This last reissue has been remastered and overdubbed with some flute parts by Alex Chiesa that had left the band during the recordings and that has recently started to collaborate again with the fellow members. 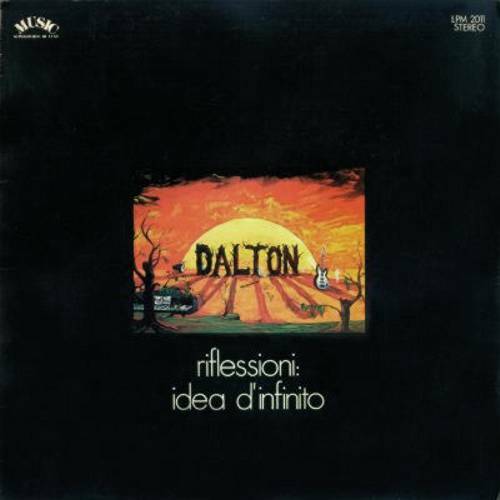 Even the CD reissue of Riflessioni: idea d'infinito has a gatefold mini-LP cover; it also contain a bonus "ghost track", a live version of Idea d'infinito. 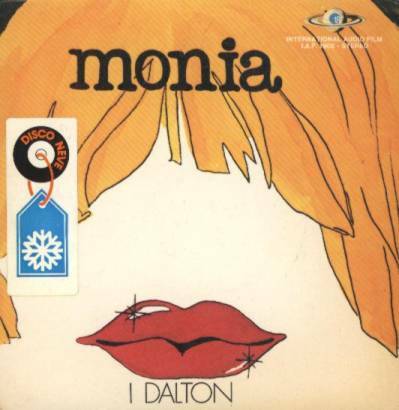 The 1974 single La donna e il bambino was reissued by BTF for the Record Store Day 2017 in 499 copies with clear blue vinyl and a postcard reproducing an original concert poster. The same single was also issued in a 45 copies numbered pressing with red vinyl and the same insert signed by the band members. 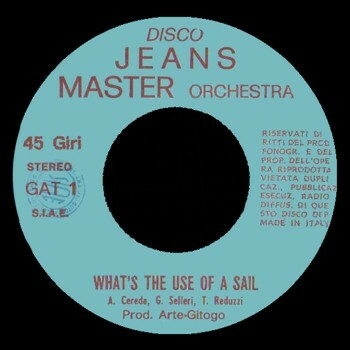 A very rare single recorded by Dalton in the mid-70's and including the same song in English and Italian version, What's the use of a sail/A che serve una vela, was produced by Jeans Master and given for free to the buyers of their jeans. Only the name of Aronne Cereda is mentioned on the label. 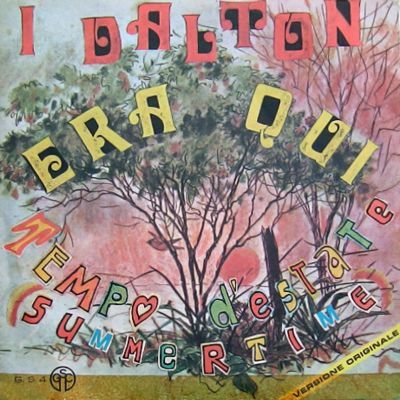 The single Venus/Summertime was also issued in Brazil on Musidisc (no.CS-115). 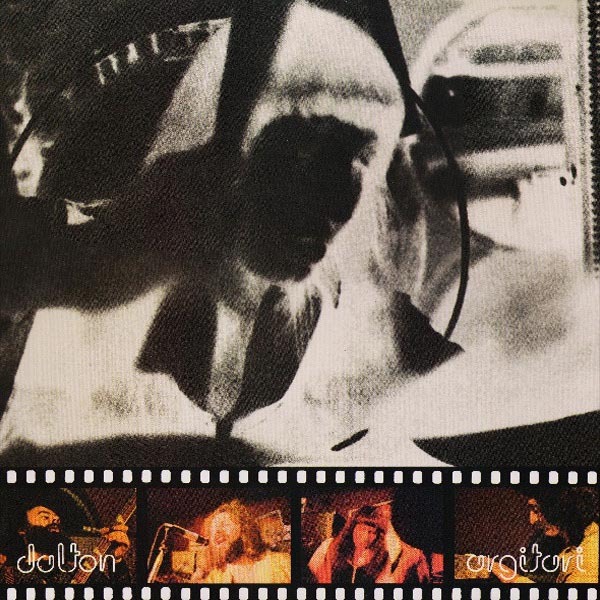 An odd budget-price compilation has to be mentioned, Dalton Revival vol.1, released on cassette only by Mantra (MAN MK01) in 1988, this includes extracts from the band's two albums, along with the single Monia and an unreleased track, Bicicletta rosa. 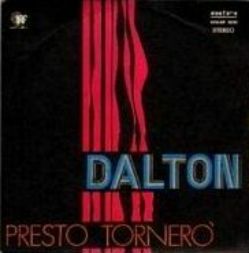 An unreleased Dalton track, the vocal version of Riflessioni, was included in 2008 in the bonus CD sold with the ItalianProg book, published by AMS/BTF. 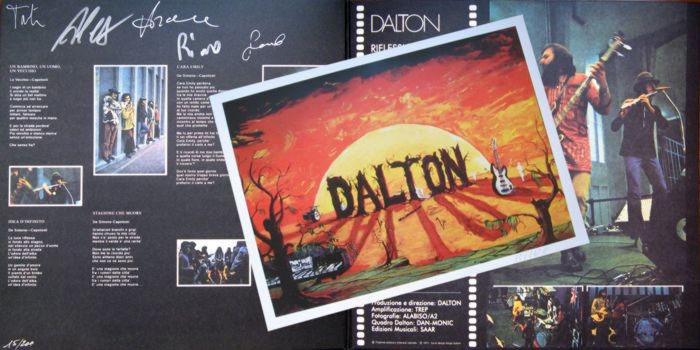 The third album by Dalton, Eden, was issued in 2018 by AMS in standard black vinyl issue, limited red vinyl version signed by Aronne Cereda, CD with mini-LP cover and also on cassette. A great thank you to Rolando Belli for his help in reconstructing the story of the early Dalton, and to Giovanni Ottone, Fabio Locatelli, Giuliano Semprucci, John Elvis Gualtieri and Domenico Vinci for some of the pictures and information included in this page.